"A lie gets half way around the world before the truth has a chance to get its pants on." 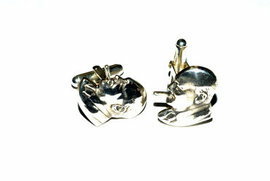 Sterling silver cufflinks. In store now.